Reigning Supercars champion Shane van Gisbergen joined the list of drivers to come unstuck at Mount Panorama during Supercheap Auto Bathurst 1000 practice. The Red Bull Holden Racing Team driver crashed entering the Dipper during Thursday's third and final practice session. 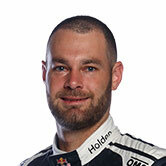 While sitting third in the order, van Gisbergen locked the front-left tyre and ran wide on the entry, hitting the concrete wall with the left-hand side of his Commodore. Van Gisbergen had already run off at Murray’s Corner, Hell Corner and The Chase in the first 30 minutes of the session. “As we know it’s pretty unforgiving up there,” team manager Mark Dutton said. “It was only a very minor thing [mistake]. “The ironic thing is that he’s so happy with the car in this session compared to the first one. “Obviously you start getting confidence and little mistakes can happen. 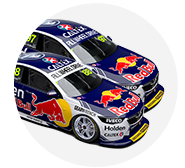 Van Gisbergen and co-driver Matt Campbell finished the day’s first two sessions in 23rd place, but Dutton was encouraged by his driver’s feedback. “We’ve not tuned that car too much in the first two sessions, hence we’re trying to make up for lost time and these things happen,” he added. “It’s practice. You’ve got to push and find limits. You’d prefer not to rub the wall but it doesn’t look crazy-bad. Brad Jones Racing’s Tim Slade crashed heavily at the Esses during the first practice session, with that car currently being repaired. Alex Rullo collected the exit wall at Forrest’s Elbow in the same session, while Richard Muscat crashed in a similar manner to van Gisbergen in Practice 2 for co-drivers.